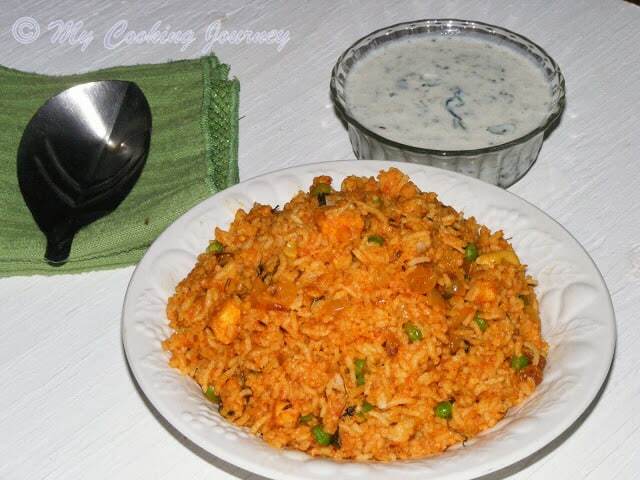 Peas Pulao | Matar Pulao is a very simple rice dish, which pairs very well with spicy and creamy side dishes. 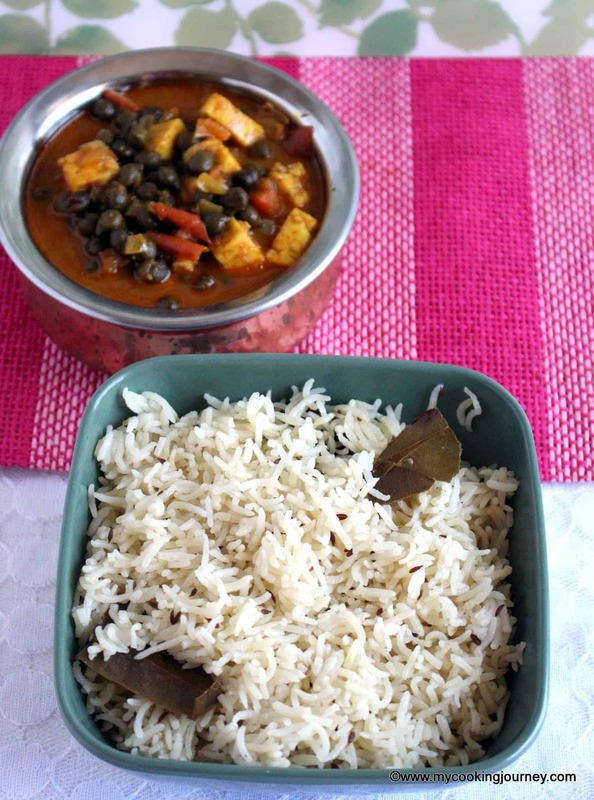 I always have a rice recipe when I make roti and subzi for lunch or dinner. 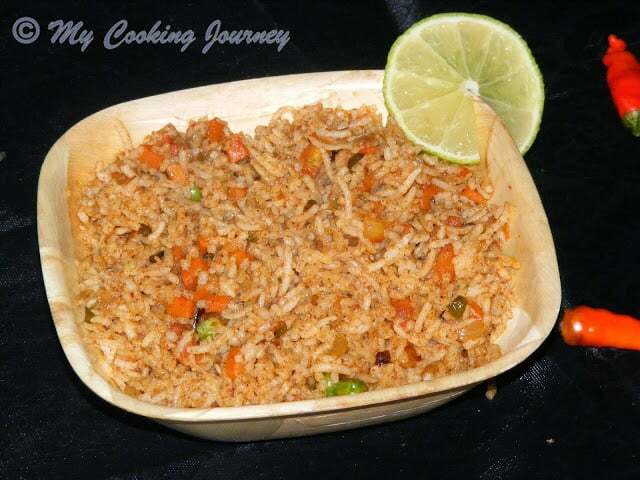 This is one of the simplest pulao and takes less than 30 minutes to make. We could make it on stove top or pressure cooker or a rice cooker. I usually just cook it on stove top, but lately have been using my new found love, the Instant Pot to cook the pulao. 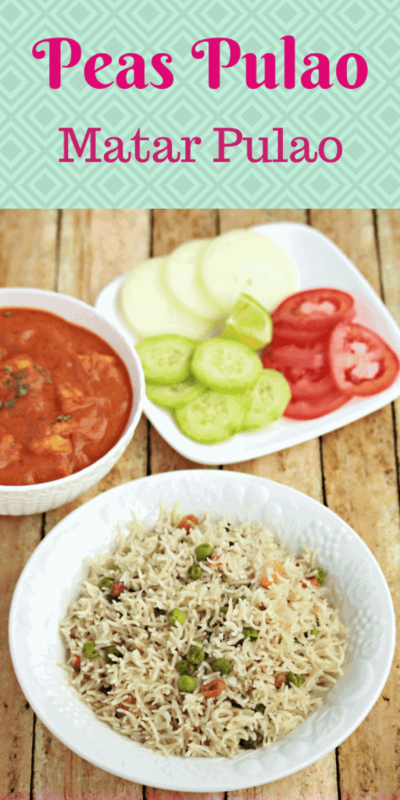 I have paired the Peas Pulao | Matar Pulao with Paneer butter masala and Avocado Paratha. This is a very typical weekend menu at our house and it is a perfect balance of all different flavors. 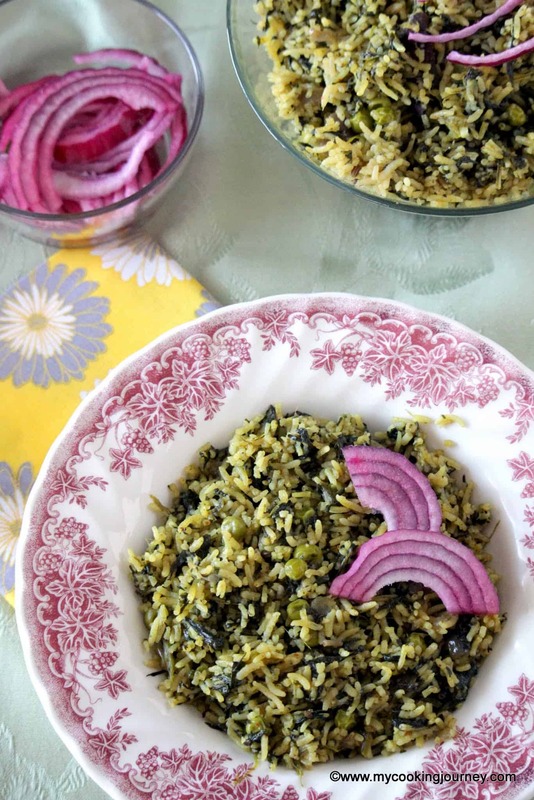 The Peas Pulao | Matar Pulao can also be served with Raita or dal. 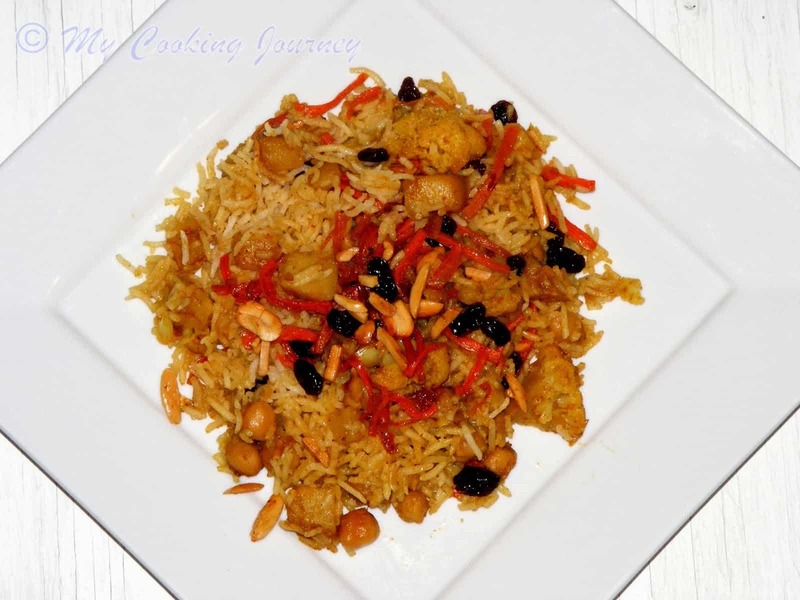 I also add some raisins to my Peas Pulao | Matar Pulao or for that matter any pulao or biriyani. It adds a very beautiful sweet layer of flavor and more than anything, my boys love it. 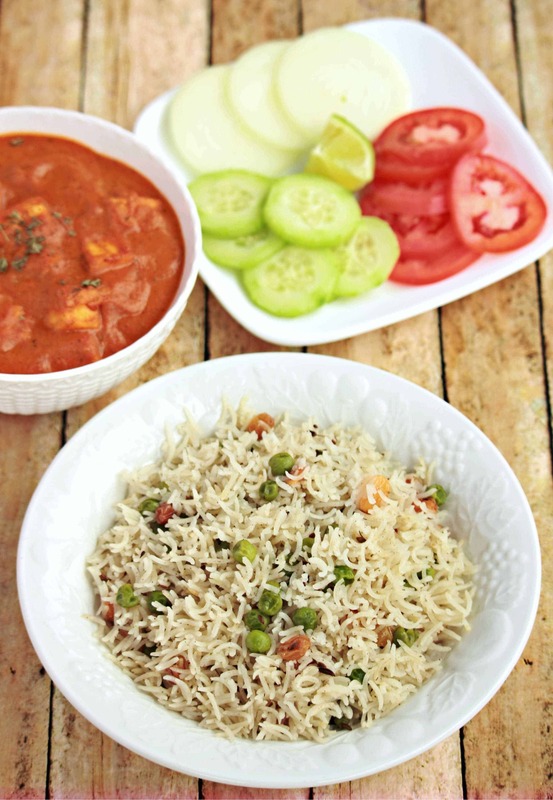 I have made this pulao with only peas, but you could add any vegetable or combination to suit your taste. 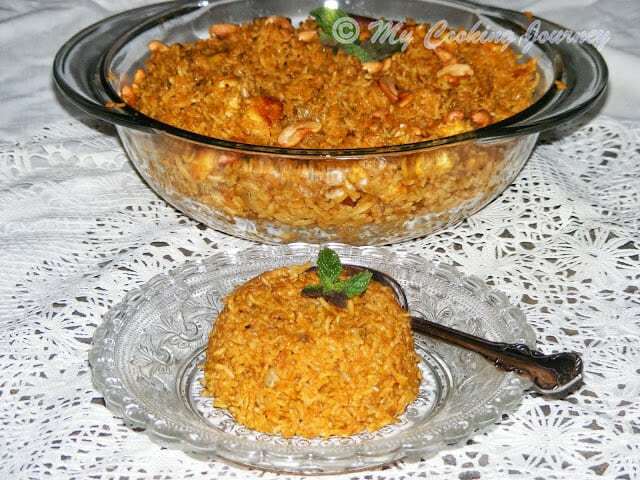 The spice used in this recipe adds a very warm flavor to the dish and hence is a very aromatic pulao. This is a no onion, no garlic recipe. If needed, you could add onions to add a different level of flavor to the dish. Wash and soak rice for about 30 mins. Drain well and keep aside. In a pan, heat the ghee/butter and add all the spices. 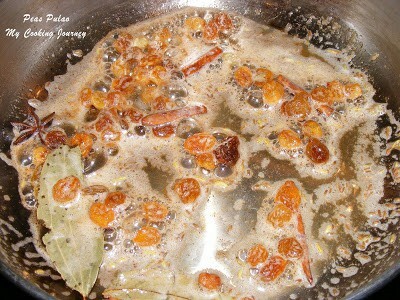 Sauté for about a minute until nice aroma comes and then add the raisins. Fry for about 2 mins until the raisins puff up. I used frozen peas to the pulao. 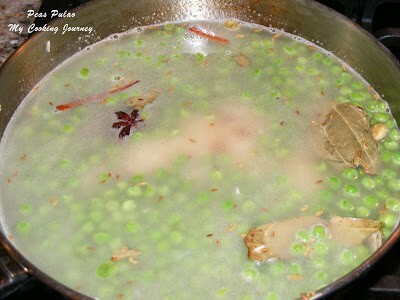 Now add the peas to the pan and mix well. Saute for about 5 mins. Now add the drained rice and fry for about 5 mins in medium flame. Do not mix too hard. Otherwise the rice will break. Now add the water required to cook the rice. I add 2 cups of water to one cup of rice. Also add the salt and mix well. Cook on medium heat until the mixture boils. Now reduce the heat to simmer and cook covered for 15 more minutes or until rice is done. At this stage you could also transfer it to rice cooker to cook. Once the water is all absorbed and the rice is cooked, do not stir the rice too much. Fluff it with a fork and serve with Raita or any side dish. Comforting Rice recipe and great for get together parties..
Love the plate and the spoon – so cute!!! And this recipe is so simple and so delicious!!! Delicious pulao sandhya, love it, Happy new year to you and family. Thanks for linking Favorite recipes: Christmas recipes. The rice looks fantastic Sandhya, cooked to perfect grains! One of classic pulao, when i started cooking for the first time i still remember the first dish i cooked was this matar pulao, love this dish to the core. 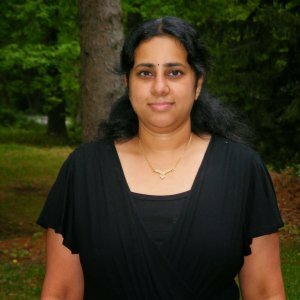 And those prefectly cooked rice grains looks fabulous Sandhya. My favorite pulao!!! Well prepared and prepsented!!! I have prepared the pulao same way minus raisins. 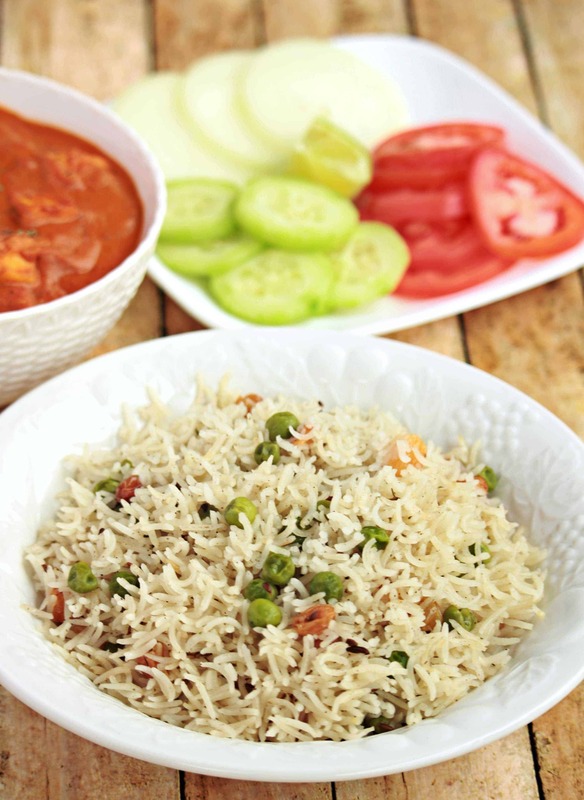 One simple yet delicious pulao goes well with almost any curry!!! This is one of the classic dish, looks too good. 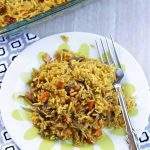 Matar pulao always comes to my mind when I need to quickly prepare a filling and yet easy dish. Usually happens after a day of outing and when everyone is tired and hungry. Very satisfying. 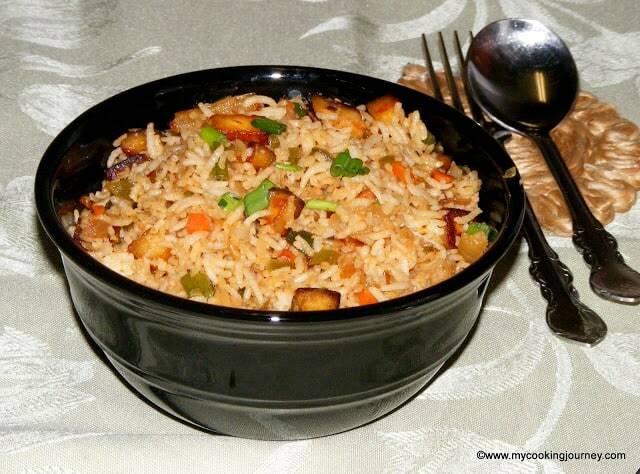 This is one of the rice dishes I make often for the ease of making it and the simple flavors. Looks wonderful. 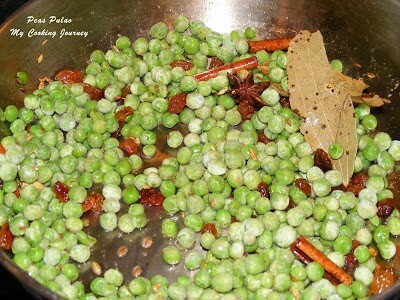 The peas pulao sound delicious..love the use of saunf here, it must have given a wonderful flavor. And yes beautiful clicks. 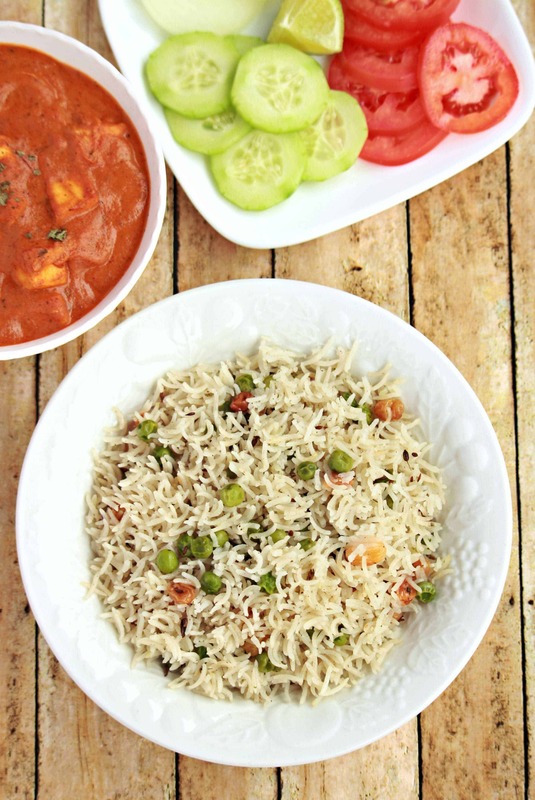 Rice is perfectly cooked and this peas pulao pairs well any of the curries. New pictures have come really good. My little one loves such mildly flavored pulaos. I avoid using star anise as it is one of the triggers for migraine. Nothing can beat the simple yet flavorful peas pulao. I can eat them without any side dish. That is such a delicious looking matar pulao. Raisins sound like a yummy addition to the rice. I love adding raisins but the family is not a big fan of them. The whole spread looks so good Sandhya. 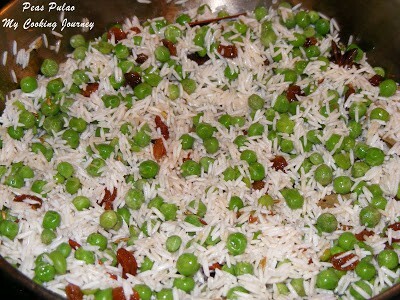 I make another version of this peas pulao. Will try your version sometime soon. 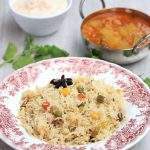 One of my favorite pulao’s sandhya, i love to make it with coconut milk, my favorite part is sauteing with the whole spices, oh my that aroma!!! love it! Looks perfect!